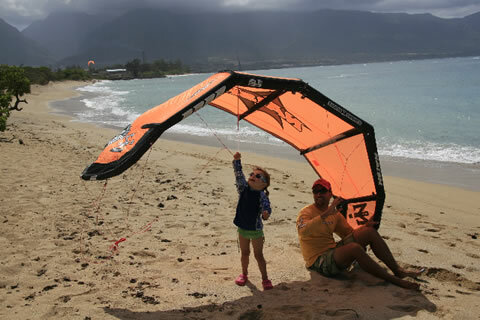 At Aqua Sports we offers kite lessons for even very small children; our emphasis on safety and fun for your young ones. 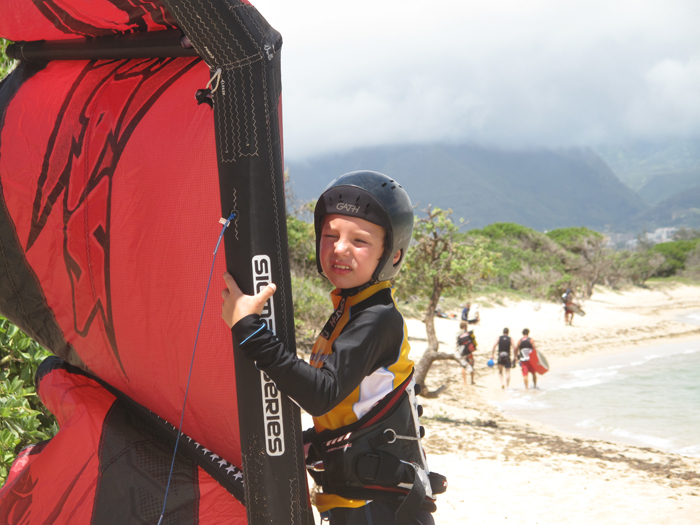 This class is designed to give your child a cool, fun intro to kiteboarding. 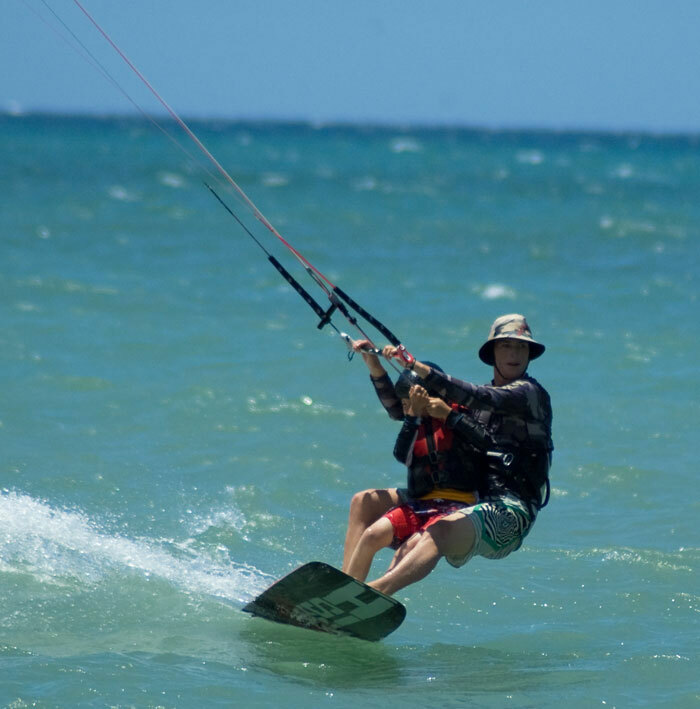 It’s all about exploring kiteboarding, learning at their own pace, lots of positive reinforcement and gentle teaching techniques. 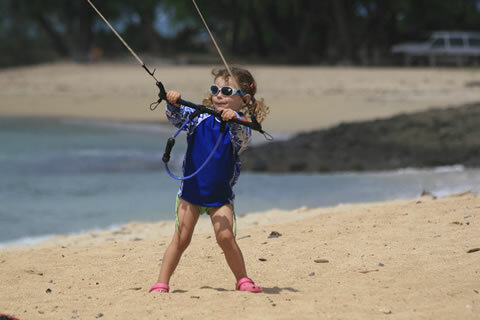 Later, when your child is ready, we will go in the water for our first “body drags” .We will be in the water with them at all times. 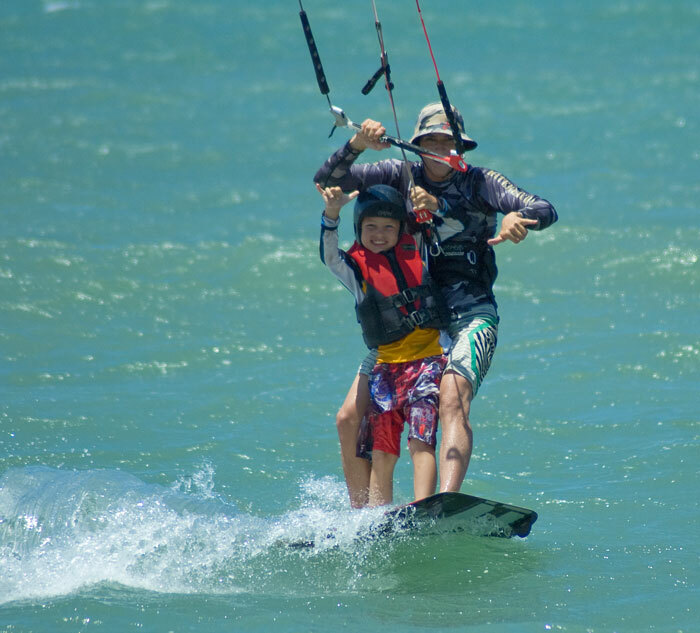 Our guys know how to make it easy, safe and fun for your kids. 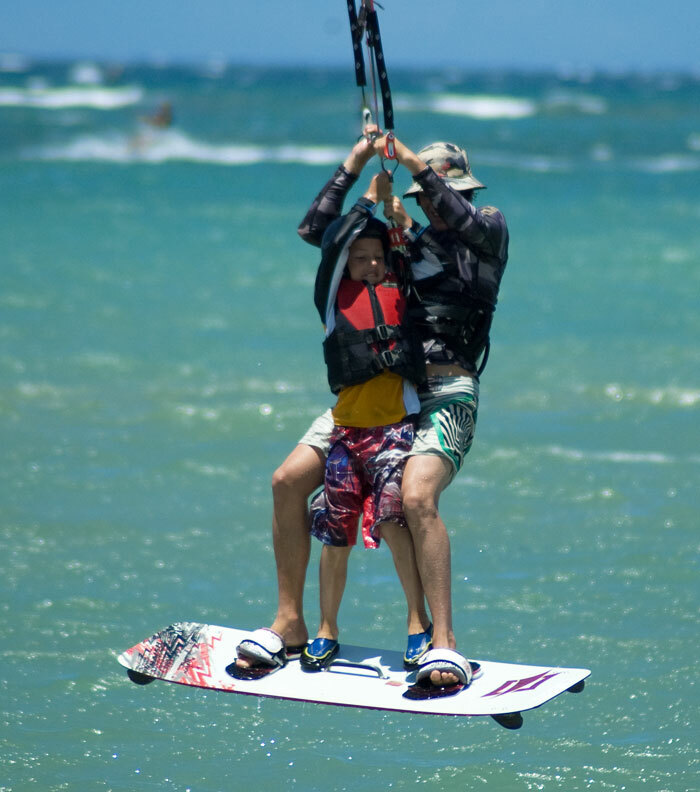 Your kids can even go for tandem rides with our qualified instructors! 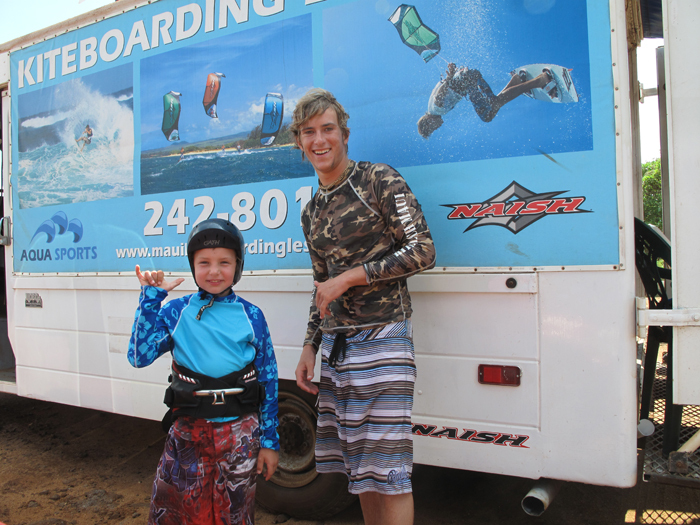 We will keep your child happy and safe for you while you take your lesson. 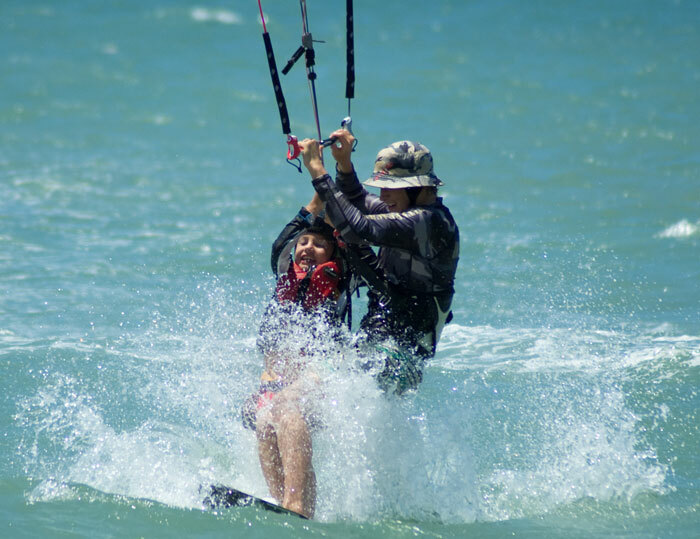 We will play with the kite and play in the water. 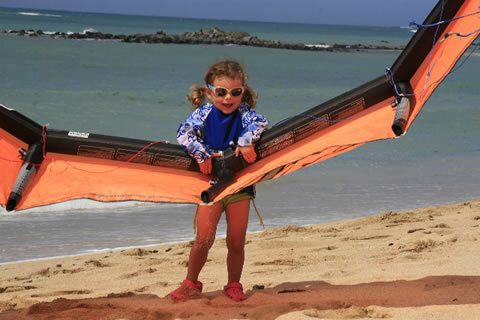 This is a great way to ease your child into the sport without any pressure or too high expectations; the emphasis is on safe, easy fun. 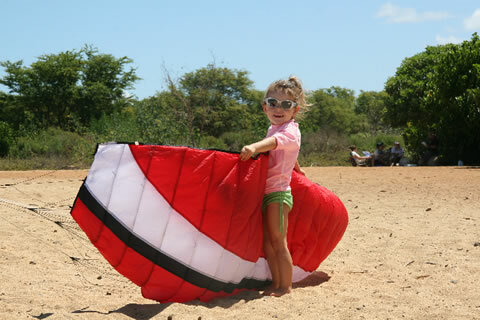 We have taught many kids from age 8 to kite, all the way to getting on the board , riding both directions, transitions, self rescue and even getting their first jumps. If your child is committed and wants to learn this sport, this is the lesson for them and the time to learn! 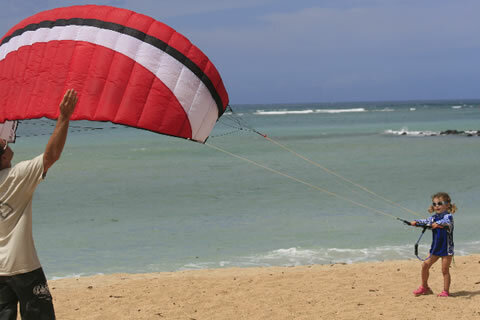 This class is a little more extensive and focused on results but still the emphasis is on safety and fun! Kids move at their own individual pace, see below for an average timeline. 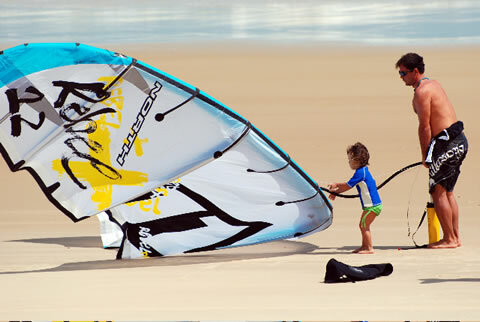 Teach your kids the right stuff, right off the the bat, they will be rippin!